Well maintained first floor unit. Enjoy easterly breezes from your screened patio. Large oversized master bedroom. Second bedroom can double as an office or den. The one car garage affords you the opportuity to avoid inclement weather with a direct entry to the home. Beautifully landscaped passive park and oversized pool and spa are features of the community. 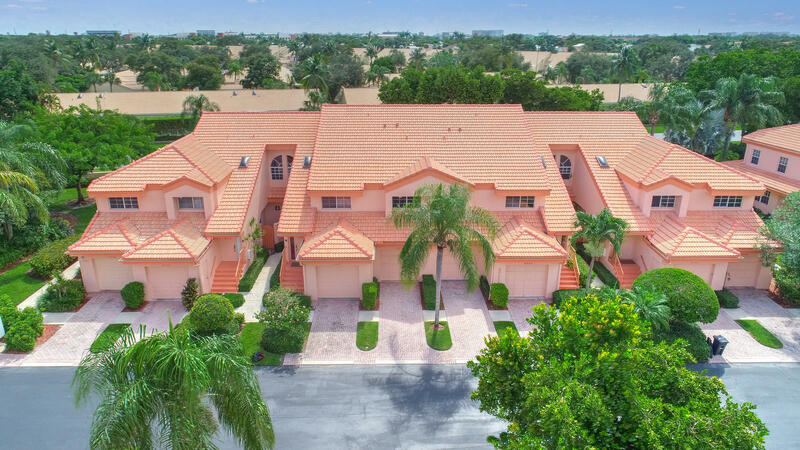 Convenient to shopping, major highways, and restuarants. . Just minutes to Boca Raton and trendy Delray Beach. Excellent opportunity to live in a country club community with no required equity.